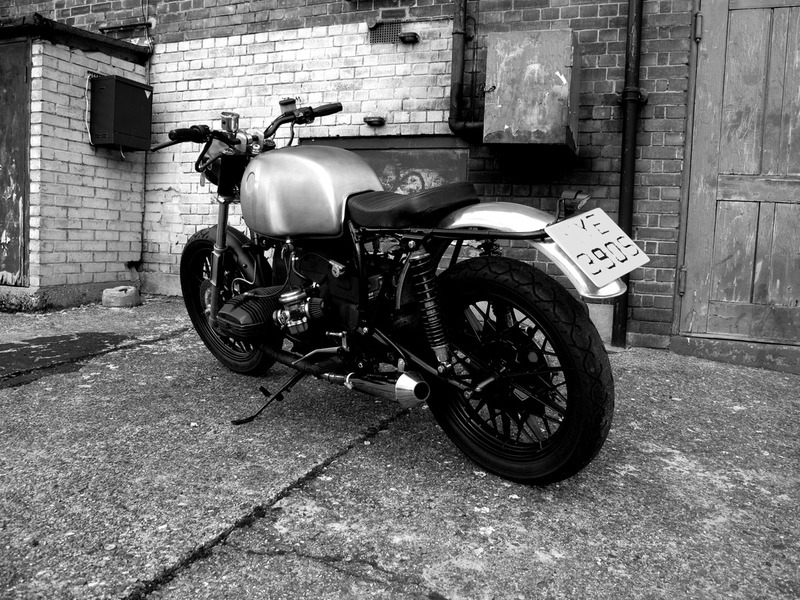 As such, BMWs are not the usual preferred brand of motorcycles when it comes to customizing, maybe because BMWs do not make the world’s best looking factory bikes and also maybe because the build is so robust and the bike being so practical, why bother? But I guess, sometimes you eed to try it off, I mean customize a BMW. Yes, some people do it and most of the times, it has come out good. 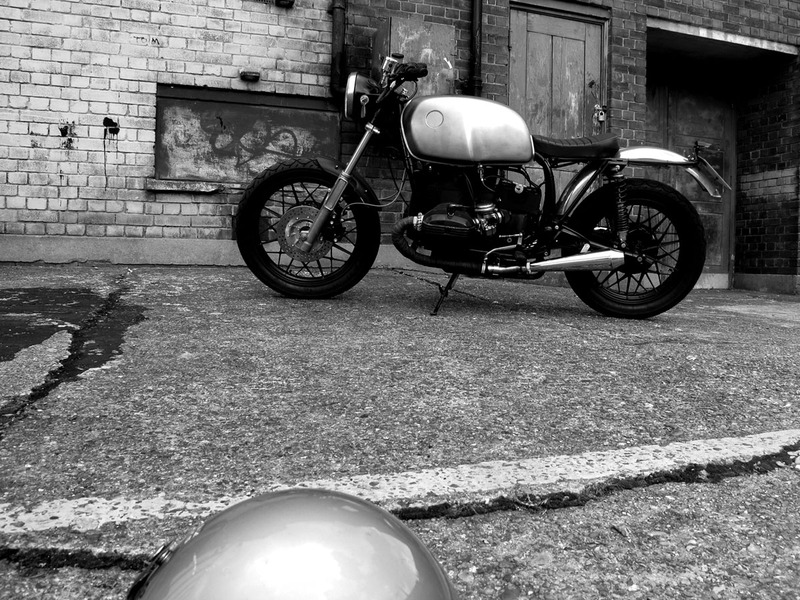 Adam Kay from London, is one of the ‘some people’ and he has managed a brilliant makeover for his BMW R80/7. As much as you would love a BMW R80/7 for being such a fine piece of machinery, you would probably not really bother about customizing it as customizing also mean in a way, beautifying your bike and in your wisdom, somehow the BMW R80 doesn’t exactly fit into that scheme of thoughts and although I am not very sure what went into Adam’s mind, Adam did something which probably is the thing to do with such a bike. He kept it simple… or so it looks but Adam would only know how much of work has gone inside it to give it that simple look. Adam is a late starter when it comes to the motorcycle thingy as a whole. He started to learn motorcycles as late as 25. But as from him, there is one good thing to learn being a late starter. 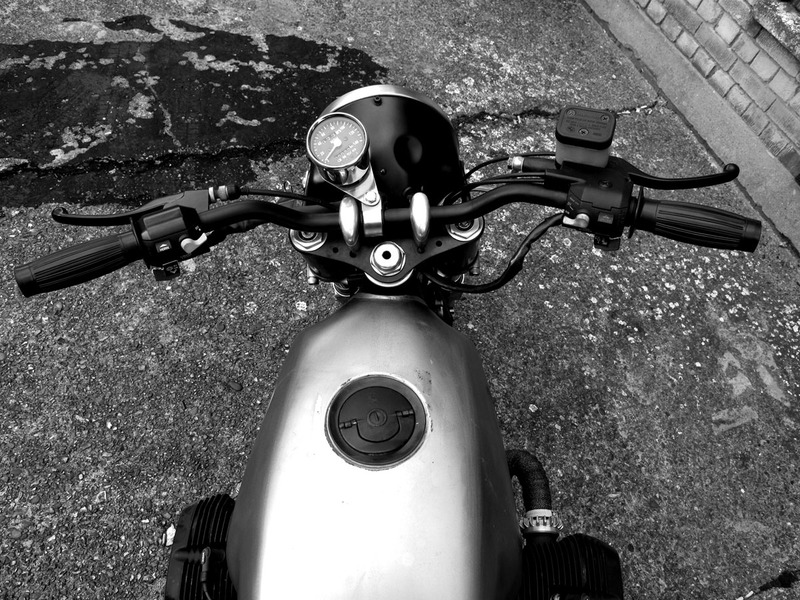 While for most of us, our first bikes usually start off with a UJM, his first bike happened to be a Ducati Monster. But that bike was stolen and his next bike was a Moto Guzzi V11 Sport! He kept it for 2 years loving the old feel associated with it and then wanted to change his style to a more urban bike like a supermoto when as he mentions, he discovered custom motorcycles through Bike EXIF, Pipeburn and Visual Gratification. That got him started and he just couldn’t rest until he got himself a custom motorcycle. It took him another year thinking about how to get started. That much needed help came when Adam met the guys from a customized bike shop by the name of Victory Motorcycles in Camden, London. The owner of Victory Motorcycles, Rex (who has become a friend with Adam over time) specializes in BMW's and classic British iron. Adam shared his idea with Rex of wanting to do something with a twin after getting inspired from many custom bikes as seen on the net, especially BMWs and Guzzis and luckily for dam, Rex had a R80/7 for sale. One thing led to other and they started working on the R80/7 project. 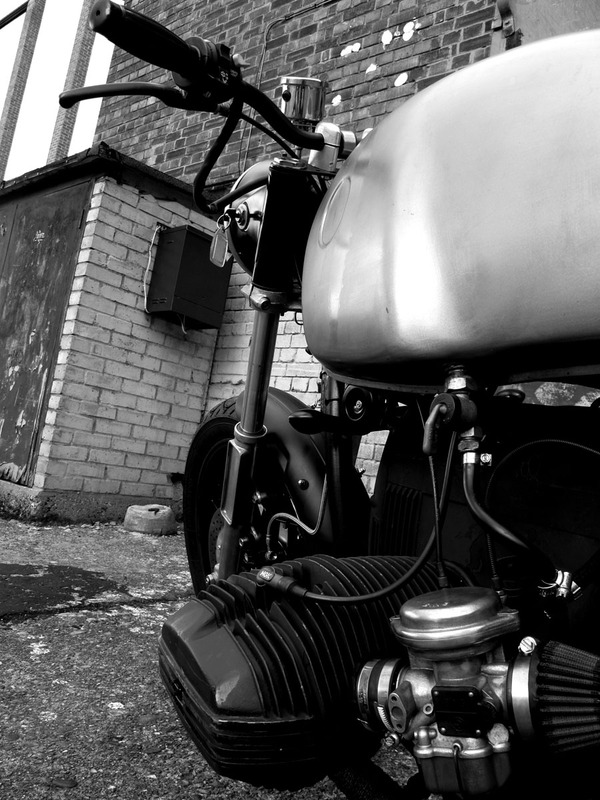 Adam’s inspiration for this project came from looking at a racing Guzzi he saw on Bike EXIF. Adam says “I wanted a single seat, a long rear mudguard and a short chopped front mudguard like a bobber. I choose not to paint the tank after I had spent ages stripping off the old paint and filler after all that effort I didn't want to cover it up again with paint. 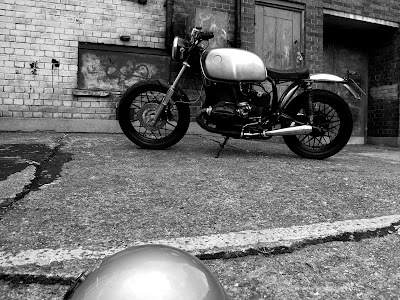 I also wanted it to have no decals to me a boxer is a BMW so it doesn't need any info on the tank.” Under the guidance of Rex he started working on the project giving 2 days a week (that was all he could afford) and after 8 months of labour and pain, this beautiful BMW R80/7 was ‘born’! Actually, I received a mail from Adam asking me whether I would like to feature the bike on the blog. Well, what were the chances? I jumped upon it and requested him to send pictures and information about the customized BMW and over the next few mails, Adam sent the photos and information. 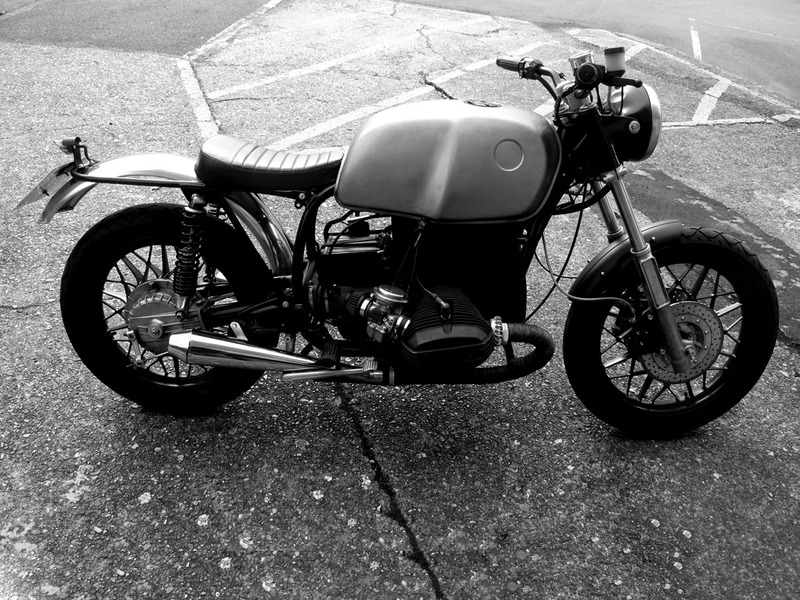 Okay, we know that the motorcycle is a BMW R80/7. The bike has a 1978 engine in a 1981 frame and forks, so as such it has a dual birth year! The 1981 bike has been stripped down to its frame. Whatever was thought as not necessary to the original design like battery box - plastic covers hooks - seat hinges and a few more bits was cut off from the frame. Starting out, as mentioned, it was back in bare bones and so, the frame, sub-frame, swing arm, side stand, top yoke and wheels were powder coated in satin black. Most nuts, bolts and other chromed parts were re-plated in dull chrome or were replaced with stainless steel parts. For the engine, K&N filters replaced the old air filter. The engine and gearbox was painted with black heat resistant paint. Traditional exhausts were replaced by new shorter ones and to give the bike a mean look, graphite impregnated exhaust wrap was used for the header pipes. All alloy parts were actually hand wire brushed cleaned which gives it a totally looks new. The battery box mounted on top of the gearbox is custom made and the bike has a new Odyssey battery. The rear and front mudguard was chopped for the new look and painted with matt black colour and alloy respectively. Indicators and rear brake lights were outsourced and a hand fabricated rear break light holder was fabricated. The touring seat was replaced by a single scrambler styled seat. The bike got new black handle bar and grips. The tank is stripped to the steel and hand sanded. A clear coat of lacquer is used to seal it. The old speedo and rev-counter was replaced with a single speedo unit. The speedo cable had to be joined to the speedo with a hand fabricated part. Lots of nitty gritty things needed to be handed as well. For instance, the brake system which reserves normally under the tank were replaced to a handlebar mounted reservoir system. A second Brembo was added. The original single disc pad was replaced by two new stainless discs and steel braided hoses are used. The forks used here are brand new ones. 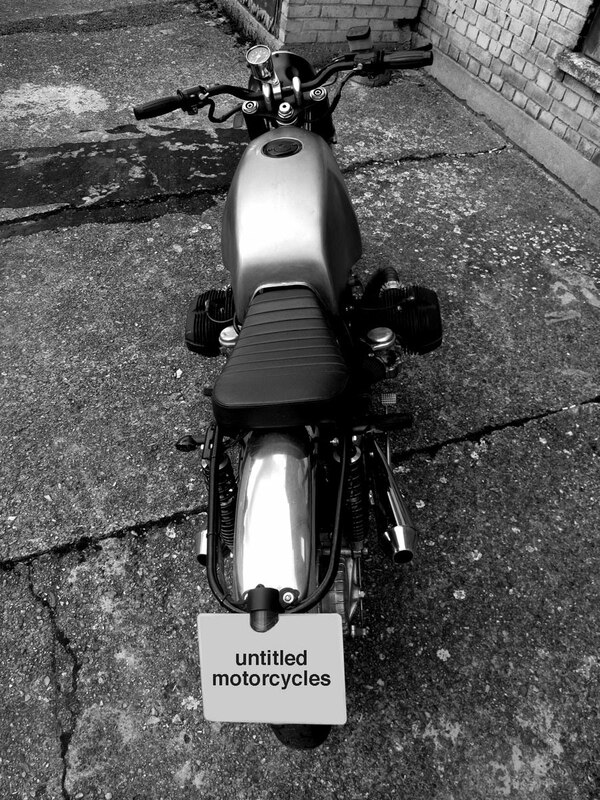 Adam has documented almost everything from start to finish in his blog Untitled Motorcycles. 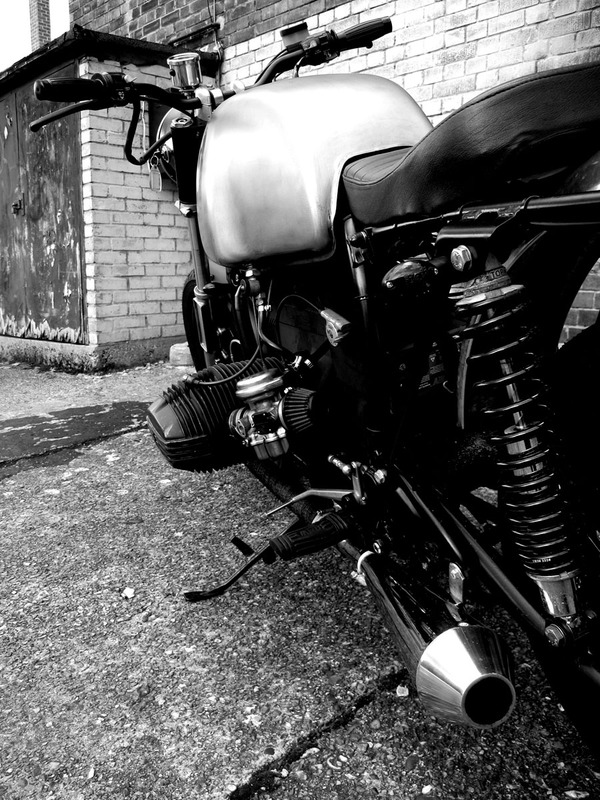 The bike has also been featured in 8negro and Ottonero. Congratulations Adam, way to go! We all really look forward to your next project. You can contact Adam kay through his email ID .